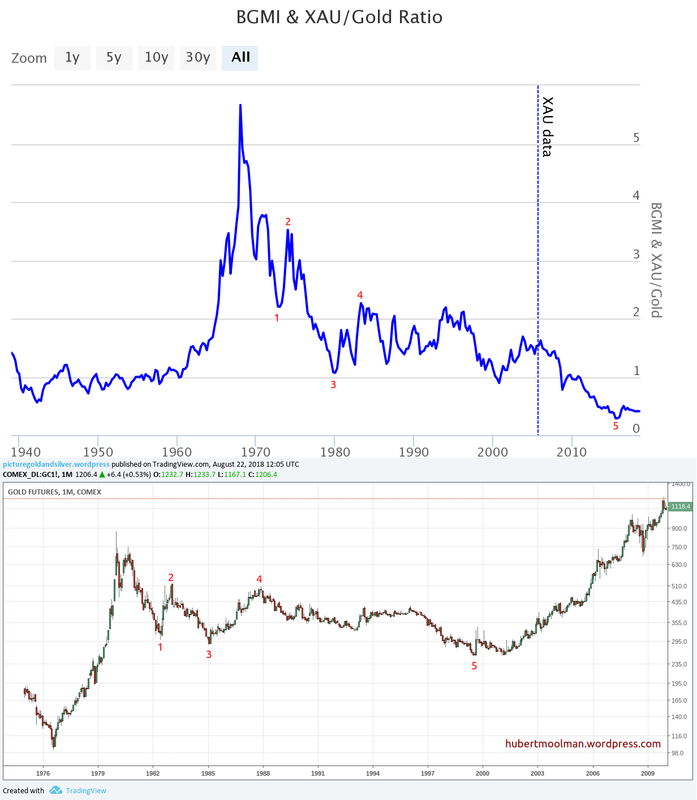 Is The 50-year Gold Mining Bear Market Coming To An End? Gold stocks is in a 50-year bear market when measured in gold. This (very) roughly means that on average, it has been more economical to buy gold rather than to mine it. Interestingly, South African gold mining production peaked two years after, in 1970, as if to confirm that mining was getting rather uneconomical. There are a peculiar set of reasons why gold mining was so uneconomical, and this I address in my other publications. After the peak in 1968, the ratio just kept on falling. Interestingly, during the 70s as well as from 2001 to 2011, gold had a great bull market, yet the gold stocks were under performing gold. Will this bear market ever turn? Yes it will. When will it turn? When the conditions that causes it turns. Some of these conditions have already turned, or are in the process of doing so. One is the oil price, a major factor in gold mining margins, peaked in 2008, and appears to be close to a massive decline. Both corrections appear to have the typical 5-move corrections (from top to bottom). 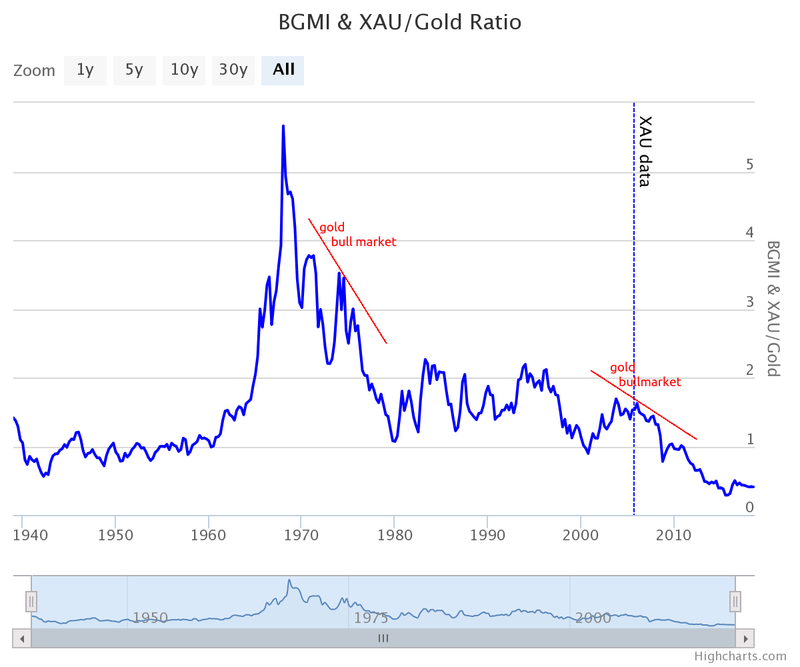 It appears that the BGMI Index/Gold Ratio is at the end or very close to the end of its correction. For more on this and this kind of fractal analysis, you are welcome to subscribe to my premium service.I have also recently completed a Silver Fractal Analysis Report as well as a Gold Mining Fractal Analysis Report. You can also subscribe to this blog (enter email at the top right of this page) to get my regular free gold and silver updates.